One of MGM's most exciting musical-comedies is a tale of seven backwoods brothers and seven homespun beauties in 1850 Oregon. 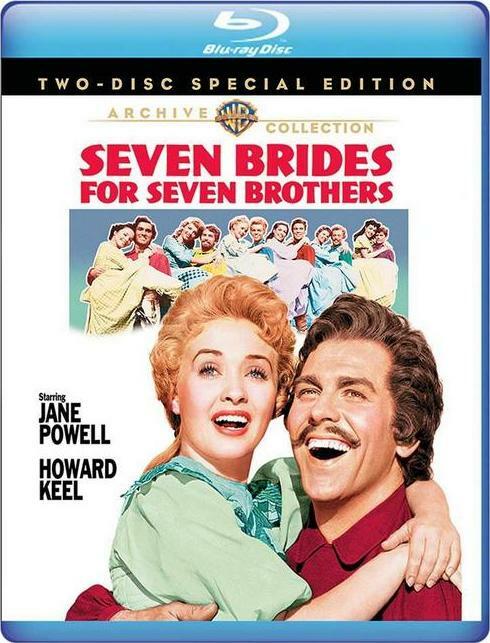 When Adam Pontipee’s (Howard Keel) new wife Milly (Jane Powell) learns she must not only take care of her husband, but his six siblings as well, she sets out to help get all the brothers married off. With Julie Newmar, Russ Tamblyn. Songs include "When You're in Love," "Sobbin' Women," and "Spring, Spring, Spring." 102 min. Widescreen (Enhanced); Soundtracks: English Dolby Digital 5.1, Dolby Digital mono; Subtitles: English, Spanish, French; audio commentary; theatrical versions; documentary; premiere footage; bonus short "M-G-M Jubilee Overture" (1954); alternate 1:77 widescreen version. Two-disc set.